The originator of this circuit idea is Mr. Uttam Sadhukha, Howrah. He is a circuit designer, and works for helping hobbyists. This circuit is for 3in1 emergency light. For loadshadings, we need light as well as a fan in summer. 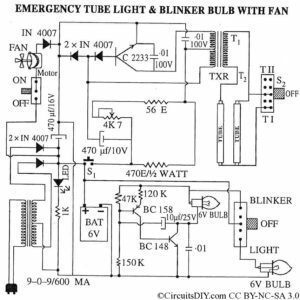 Normal emergency lights comes with tube, torch and blinker, as space required for fan is much. But in circuit design it doesn’t matter. 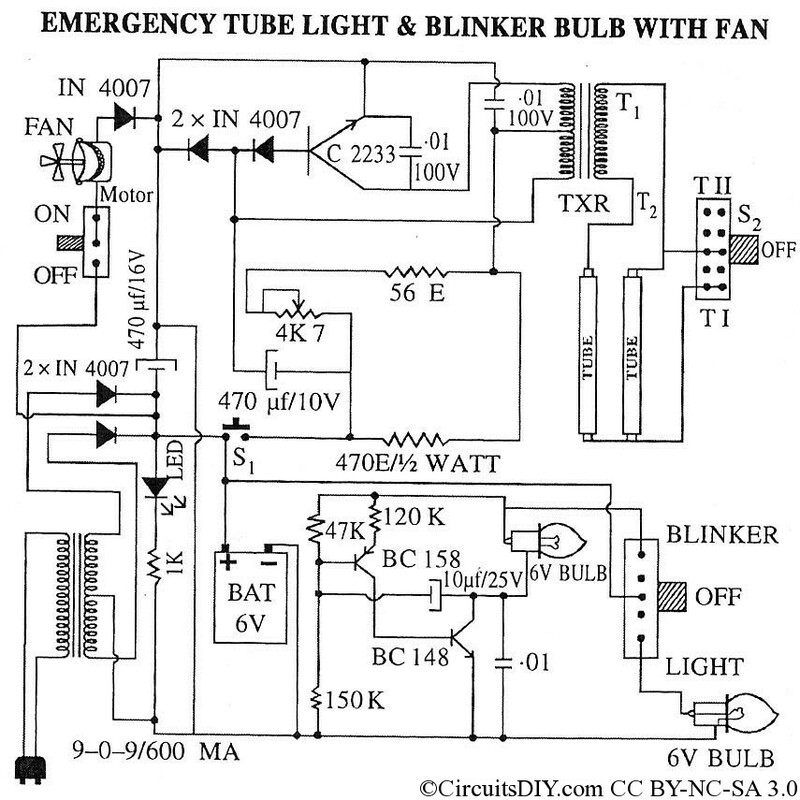 You can easily separate parts of this total circuit to build a 6V charger, or 6V emergency light, or blinker, etc. You can measure the voltage and calculate whether it is charged or not. I’m not getting you. Please explain. Hello sir,can u please send me the circuit of only emergency light to my email. what is the value of transformers that u have used in this circuit and how much powered motor i have to use for this circuit and how much volt tube i have to use.